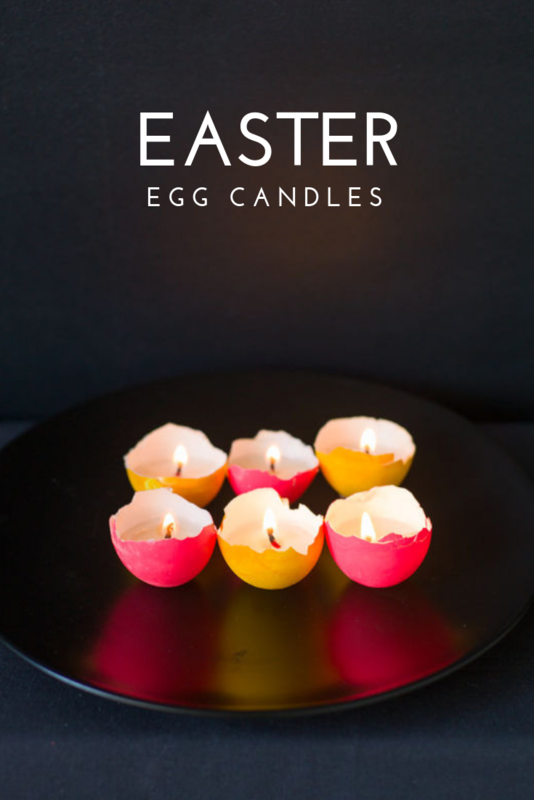 Inside: How to make Easter egg candles. 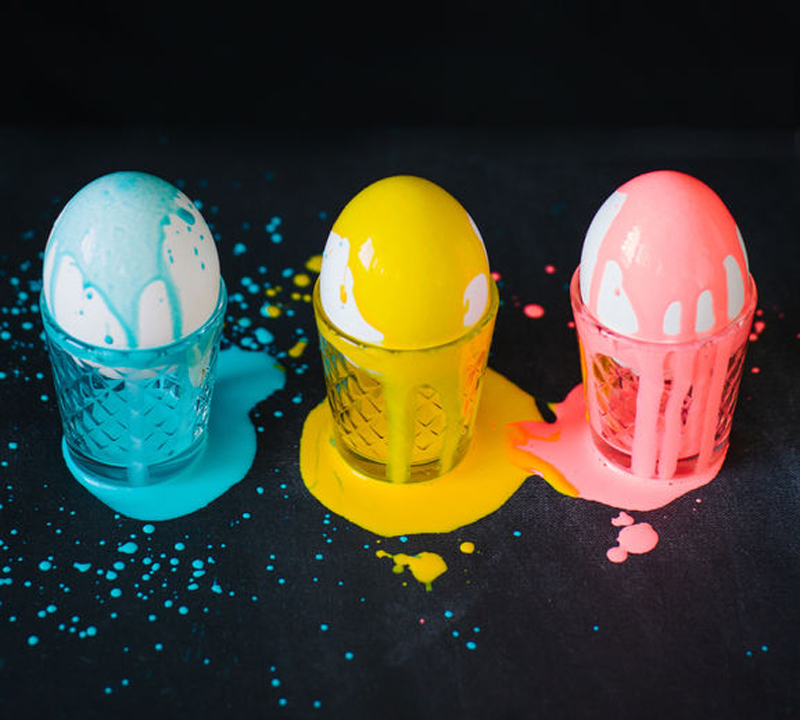 Creating Candles out of interesting materials has long been a favorite activity of mine, but using Easter eggs to make the candles is a fun new twist for an Easter table. I love the idea of taking something that would normally be tossed away like the painted egg shells and instead making a festive and fun display with them. These candles are an easy way to dress up an easter dinner table, everyone will get a kick out of it. Or if you are hosting an earlier day brunch, it’s a project that can be done even with the kids. Making for a fun easter craft everyone could take home as party favors. Whether you create a sophisticated egg display or a more fun kid-friendly one, these easter egg candles are a project everyone will love. Like all egg projects, the brighter the eggs are colored the better! 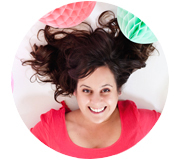 Grab my secret tip for the brightest Easter egg dye. 1. Start by blowing out the egg and color to your liking. The candles can be made with uncolored more natural looking eggs for a different look. 2. Once the eggs are colored and dried the next step is to gently tear the egg into 2 pieces. Cracking it will work to give this very fun organic texture to the Easter egg candles OR for a more precise cut you can always use scissors. 3. Place a wick in the center of each of the egg bottoms and trim until the top of the wick is about 1/4 inch above the egg. 4. 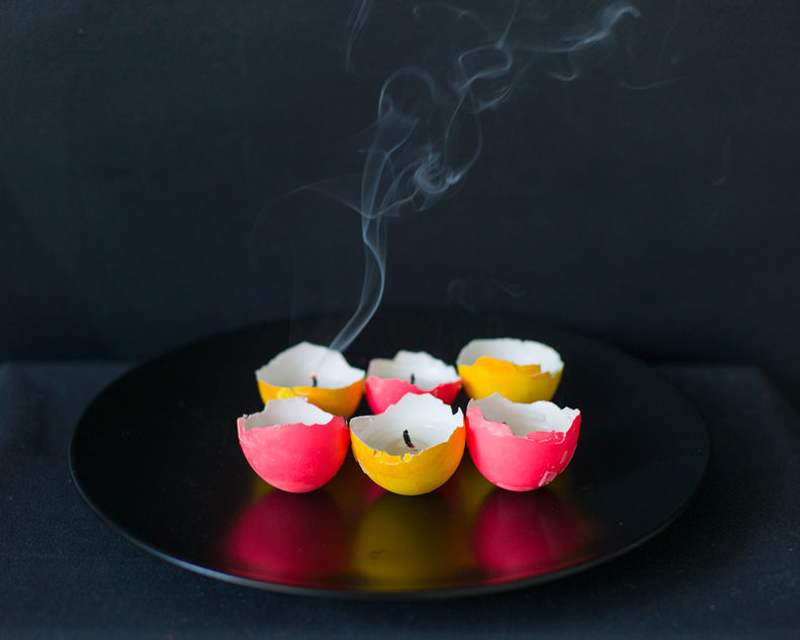 Heat up the candle wax in a pan and gently pour melted wax into the egg shells. To keep the wick straight it can help to use a wooden skewer for this step. 5. Place in egg carton to stabilize while the wax hardens. Place the fun easter egg candles around the table or group together for an easter display that is easy & fun! (Photography done by Duet Postscriptum/Stocksy United).